Fuse is a striking transition carpet tile that adds movement to the floor by effortlessly flowing between two contrasting yet complimentary colour schemes to help zone and divide a space. 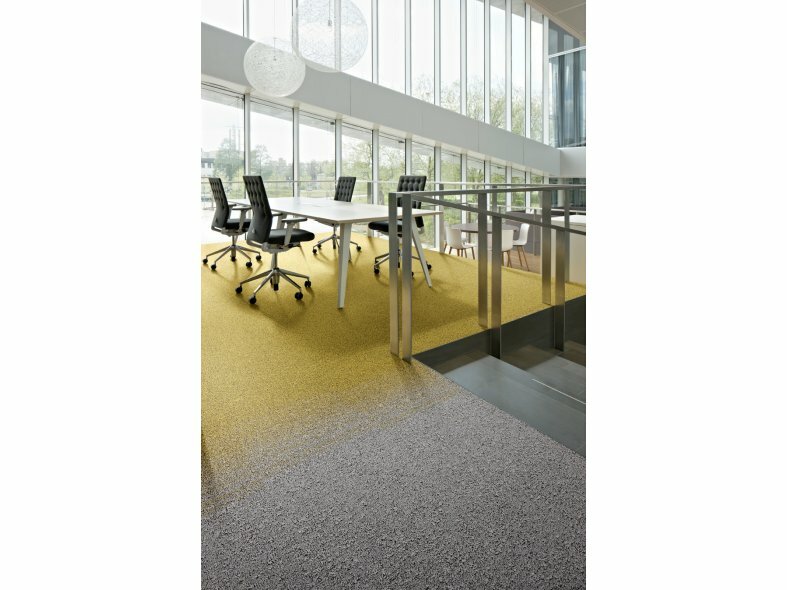 The colour combinations of Fuse merges two distinctive hues from the uni-coloured Fields carpet tile range. As such it builds a stunning design bridge between the two products with endless opportunities for individuality and creative expression. 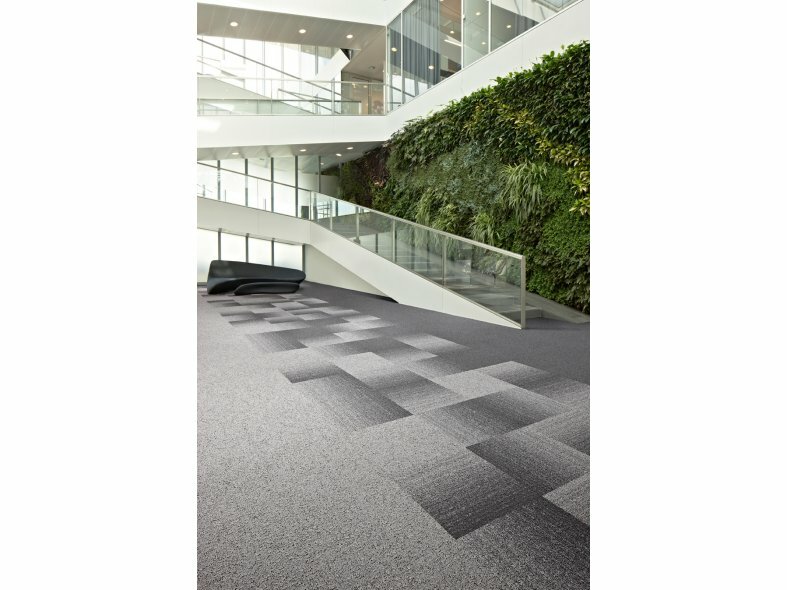 Part of the Transitions collection, the enlarged and irregular loop pile carpet tile helps create warm and highly tactile flooring with the look and feel of a hand-woven textile. Fuse is available in seven colour combinations with DESSO EcoBase® as standard backing.